Congratulations to UB graduate composers for a remarkably productive year! Joe Lake, currently studying in Germany through a Fulbright Scholarship, has received a D.A.A.D. award for residency in Berlin for 2012-13. Nathan Heidelberger has been named a Fellow at the Aspen Music Festival Summer Composition Program, one of the most prestigious composition programs in the U.S.
Diana Soh is in residence at IRCAM, in Paris, France, as a recipient of a rare year-long residency program, and has been selected as one of 5 composers from around the globe to be commissioned for a new work by IRCAM and to have a full year residency at IRCAM to prepare her new work. Diana also received artist-in-residence awards from Royaumont, Aix-en-Provence, and the Recontres Festival among many others. Robert Phillips has been selected to be a participant in Harvard University’s Summer Composition Institute, and has been commissioned by Ensemble SurPlus to write a new work for their upcoming 20th anniversary concert in Freiburg, Germany. Jacob Gotlib has been selected as one of 10 international composers to be in residence at the prestigious Wellesley's Composers Conference. His percussion quartet, Scape After Louise, won the Act Percussion First Prize and received a performance in Koln, Germany. Megan Beugger was selected as a resident composer in the Akademie Schloss Solitude Summer Program in August, 2011, and had her Expanse – String Quartet No. 2, performed several times in Germany throughout 2011 and 2012. Chun Ting Pang has had a work selected for performance at the Hong Kong Contemporary Music Festival and at Musicarama. Additionally, he was selected to be the national representative for the Asian Composer's League in Tel Aviv, Israel. Chun Ting was also named as a composer participant at Royaumont, in France, for the 2012 Fall Season. Juan Colón-Hernández, Dimitar Pentchev, Clint Haycraft, Zane Merrit, and David Rappenecker have been selected to be participants in June in Buffalo 2012, among 25 selected participants from over 80 international applications. Matt Sargent was commissioned for an installation work, no where I’m bound, by the Hemphill Gallery, which ran March-May 2012, and went on to receive additional performances throughout the U.S.
We at the Robert and Carol Morris Center for 21st Century Music are thrilled to welcome Julia Wolfe to the faculty of June in Buffalo 2012. 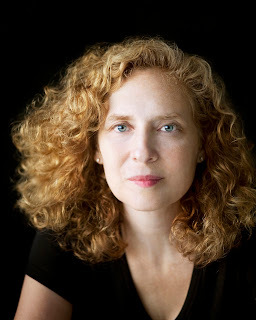 Julia Wolfe is a prolific composer who, in the words of the Wall Street Journal, has "long inhabited a terrain of [her] own, a place where classical forms are recharged by the repetitive patterns of minimalism and the driving energy of rock." She is an original co-founder of Bang on a Can, an ambitious NYC-based music organization that plays, according to the New York Times, “a central role in fostering a new kind of audience that doesn’t concern itself with boundaries. If music is made with originality and integrity, these listeners will come.” Julia Wofe was recently nominated to be a finalist for the 2010 Pulitzer Prize for her work Steel Hammer, which was commissioned by Carnegie Hall and written for the Bang On A Can All-Stars and Trio Mediaeval, and recently received its Boston premiere at the Massachusettes Institute of Technology. Julia Wolfe has written a major body of work for strings, from quartets to full orchestra. Her quartets, as described by the New Yorker magazine "combine the violent forward drive of rock music with an aura of minimalist serenity [using] the four instruments as a big guitar, whipping psychedelic states of mind into frenzied and ecstatic climaxes." Wolfe's Cruel Sister for string orchestra, inspired by a traditional English ballad of a love rivalry between sisters, was commissioned by the Munich Chamber Orchestra and received its US premiere at the Spoleto Festival, and was recently released (along with her other string orchestra piece, Fuel) on Cantaloupe Records. Written shortly after September 11, 2001, her string quartet concerto My Beautiful Scream, written for Kronos Quartet and the Orchestre National de France (premiered in the US at the Cabrillo Festival under the direction of Marin Alsop), was inspired by the idea of a slow motion scream. The influence of pop culture can be heard in many of Wolfe's works, including Lick and Believing for the Bang on a Can All-Stars. Lick, based on fragments of funk, has become a manifesto for the new generation of pop-influenced composers. The raucous My Lips From Speaking for six pianos was inspired by the opening riff of the Aretha Franklin tune Think. Wolfe's Dark Full Ride is an obsessive and relentless exploration of the drum set, beginning with an extended hi-hat spotlight. In LAD, Wolfe creates a kaleidoscopic landscape for nine bagpipes. Her most recent works include Combat Du Boxe for the Asko-Schoenberg Ensemble (using another film by De Keukeleire), a solo (with 8 pre-recorded parts) called With A Blue Dress On for violinist Monica Germino, and a new solo for percussionist Evelyn Glennie called Iron Maiden. Upcoming works include an evening-length piece for Celtic singer and the string quartet Ethel, a concerto with orchestra and the percussionist Colin Currie, and a chamber concerto for German-Canadian cellist Johannes Moser. Check out the great performance below of Julia Wolfe’s Dark Full Ride, as interpreted by longtime friends of the Center for 21st Century Music, the Talujon Percussion Ensemble. Fred Lerdahl at June in Buffalo 2012, "Music as Language"
Continuing through our list of Senior Faculty composers at June in Buffalo 2012 we arrive at Fred Lerdahl, who is currently a professor of Musical Composition at Columbia University, and a music theorist well-known for his writings which describe compositional systems as languages with musical grammar and syntax, particularly in the influential book, A Generative Theory of Tonal Music, co-authored with linguist Ray Jackendoff, published in 1983. As a composer, three of his pieces have been finalists for the Pulitzer Prize for Music, including the recent Arches in 2011. A terrific summary about the relationship between Fred Lerdahl’s compositions and theoretical writings can be found at newmusicbox. 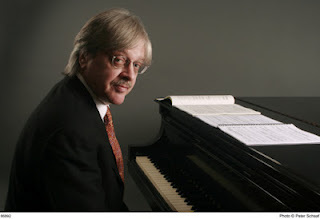 Fred Lerdahl, originally from Madison, Wisconsin, has been not only prolific as a composer and theorist, but also as a teacher – he has taught at UC/Berkeley, Harvard, and Michigan, and since 1991 he has been Fritz Reiner Professor of Music at Columbia University. He is a member of the American Academy of Arts and Letters, and among his other honors are the Koussevitzky Composition Prize, a Guggenheim Fellowship, and the Classical Recording Foundation’s Composer of the Year Award. Commissions have come from the Fromm Foundation, the Koussevitzky Foundation, the Spoleto Festival, National Endowment for the Arts, the Chamber Music Society of Lincoln Center, the Library of Congress, Chamber Music America, and others. Among the organizations that have performed his works are the New York Philharmonic, the Pittsburgh Symphony, the San Francisco Symphony, the Seattle Symphony, the Cincinnati Symphony, the Los Angeles Philharmonic, the American Composers Orchestra, the Saint Paul Chamber Orchestra, Orpheus, the Boston Symphony Chamber Players, the Chamber Music Society of Lincoln Center, eighth blackbird, Speculum Musicae, Collage, Antares, the Juilliard Quartet, the Pro Arte Quartet, the Daedalus Quartet, Ensemble XXI, Lontano, and the Venice Biennale. He has been in residence at the Marlboro Music Festival, IRCAM, the Wellesley Composers Conference, the American Academy in Rome, the Bowdoin Summer Music Festival, the Yellow Barn Music Festival, the Saint Paul Chamber Orchestra, and the Center for Advanced Study in the Behavioral Sciences. In 2001, Lerdahl authored Tonal Pitch Space, which models musical listening from the perspective of cognitive science, and in 2011, the Oxford University Press published his article, Art and the Senses. Below you can find a video of Joanna Chao offering a beautiful performance of Lerdahl’s Three Diatonic Studies, for piano solo. We recently tracked down University at Buffalo alumnus Christian Baldini and asked him to fill us in on his career since completing his doctorate in music composition here in 2009. Christian is currently on faculty at UC Davis and serves as the Music Director of the UC Davis Symphony Orchestra, and keeps up a busy schedule fulfilling invitations to guest conduct with ensembles and orchestras around the world. We asked Christian about what he’s been up to since leaving UB, his main interests as a composer and a conductor, and what projects he has on the horizon. “I was very fortunate to be offered a tenure-track position at a really wonderful university, right before I left UB. So I spent the summer traveling to two really great music festivals in Europe, the S. Magnus Festival, which is run by Sir Peter Maxwell Davies, and conductor Martyn Brabbins, who was for me a great mentor. And then I was off to the course that Peter Eötvös runs in Germany, where I got to work with the Ensemble Modern and I had a performance of a chamber work of mine. After that, I arrived in California, where I have been now for three years the Music Director of the UC Davis Symphony Orchestra. “I have just returned from Salzburg, where I guest conducted a concert with the Munich Radio Orchestra. Before then I was also in Spain where I took my orchestra from California on tour. We performed four concerts in Madrid, Granada, Valencia and Barcelona. It was a phenomenal experience for everyone involved, and we had the luxury of performing in some of the world's most beautiful venues. It was a great learning experience to have to adjust our performances of several works for many concert venues with completely different acoustic realities. They were all excellent, but the sound behaved differently in each of them. Our last concert was sold out (2,000 people) at the Palau de la Musica Catalana in Barcelona. I will never forget this concert. “One of the things that I care the most about is to collaborate with living composers. I find it fundamental for the future of music that we as performers take on the responsibility of securing excellent performances of works by our contemporaries. Over the last 15 years, ever since I started conducting, I have been fortunate to collaborate closely with some excellent composers, and have conducted first performances of dozens of works. I also have a wide range of interests, and I think it is important to find a good balance between innovation and tradition. I don't consider myself a specialist in only one field, but rather a curious musician who feels equally at home conducting Brian Ferneyhough or Brahms or Sibelius. I also enjoy very much conducting opera and symphonic repertoire, as well as music for ensembles. As a composer, I feel close to a language that is never settled and secure, but rather always looking for new horizons. I believe in a constant exploration of the materials and their envelopes and vehicles. I admire composers who have developed their language up to their very last days. “There are always projects coming up. I will be traveling to South Africa this summer to conduct three concerts with the South African National Youth Orchestra. I will also be conducting a CD recording in England with the English Chamber Orchestra. And there are a few more things in the melting pot, which are exciting and I always look forward to continue collaborations with musicians across different continents. Below is a video of a concert with Christian Baldini conducting the UC Davis Symphony Orchestra and giving a breathtaking performance of Jean Sibelius' Symphony No. 7. 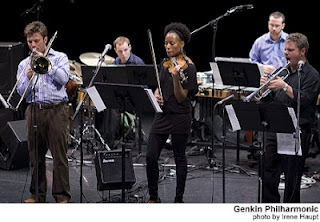 Presented by the Department of Music and The Robert and Carol Morris Center for 21st Century Music, June in Buffalo, a festival and conference dedicated to composers, will take place from Monday, June 4th, to Sunday, June 10th, 2012, at the University at Buffalo. June in Buffalo offers an intensive schedule of seminars, lectures, workshops, professional presentations, participant forums and open rehearsals as well as afternoon and evening concerts open to the general public and critics. Each of the invited composers will have one of his/her pieces performed during the festival. Evening performances feature faculty composers, resident ensembles and soloists renowned internationally as interpreters of contemporary music. Check out the details of the ensemble roster and the full concert schedule at the June in Buffalo website, as well as peruse audio samples and materials from previous June in Buffalo Festivals. Composer Robert Beaser and Guitarist Eliot Fisk come to June in Buffalo 2012! 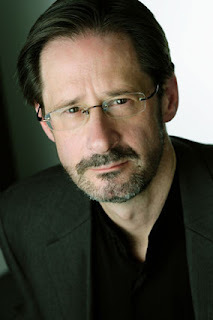 We at the Robert and Carol Morris Center for 21st Century Music are gearing up for the upcoming June in Buffalo Festival and are excited to have Robert Beaser as a Senior Faculty Composer this year. June in Buffalo 2012 will begin on Monday, June 4th, and culminate in an exciting orchestral finale by the Buffalo Philharmonic Orchestra at 2:30 p.m. on Sunday, June 10th, at Lippes Concert Hall at the University at Buffalo. Sunday’s concert will feature the Guitar Concerto by Robert Beaser, with soloist Eliot Fisk, as well as works by David Felder, Fred Lerdahl, and Steven Stucky. 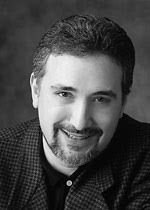 Robert Beaser has garnered tremendous admiration amongst a wide variety of audiences, and has been described as “one of this country’s huge composing talents, with a gift for vocal writing that is perhaps unequaled,” by The Baltimore Sun. Gramophone magazine has given his music tremendous accolades and called it, “masterly... dazzlingly colorful, fearless of gesture... beautifully fashioned and ingeniously constructed.” He has received myriads of commissions by some of today’s top ensembles and orchestras, including The New York Philharmonic, The Chicago Symphony, The Saint Louis Symphony, The American Composers Orchestra, The Baltimore Symphony, The Minnesota Orchestra, Chanticleer, and New York City Opera. Some exciting premieres in China will be coming up for Robert Beaser this month, including his Piano Concerto, and his Song of the Bells, to be performed on May 19th, and May 21st, respectively, at the National Center for the Performing Arts in Beijing (English-language website available here). Below is a video of Eliot Fisk offering a dynamic performance of an excerpt from the final movement of Robert Beaser’s Guitar Concerto.